Stuck for a Mother’s Day gift? 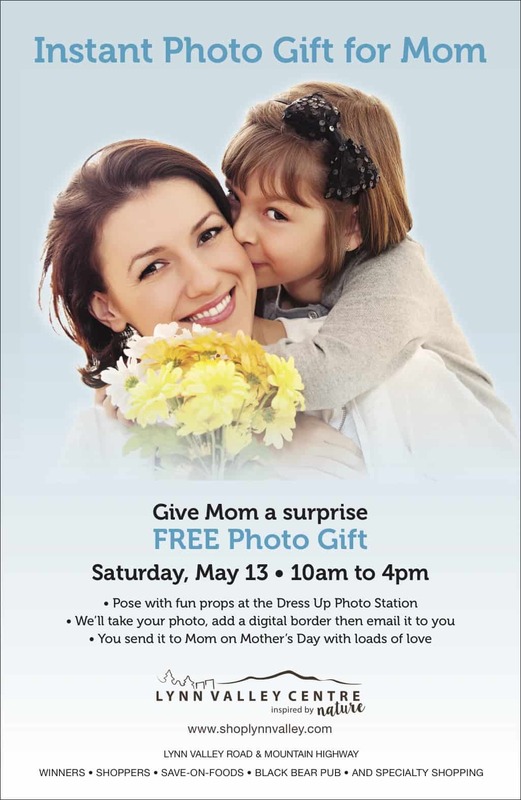 No more… make a nice memory for Mom by taking her to Lynn Valley Mall and dressing up for a free digital photo! Fun dress-up props are on hand for those who want to ham it up or put on the Ritz. The photo station will welcome moms and kids on Saturday, May 13 from 10 a.m. to 4 p.m.
Be a Lynn Valley LINK trail builder!